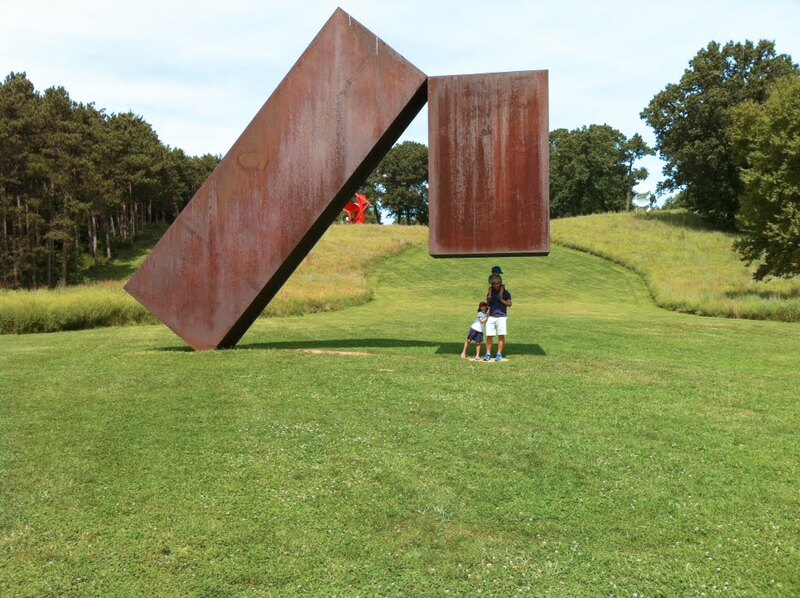 After a lovely visit to some dear friends and their new baby, we swung up to the Storm King Art Center, a ginormous outdoor sculpture park. Misha and I had been there B.C. 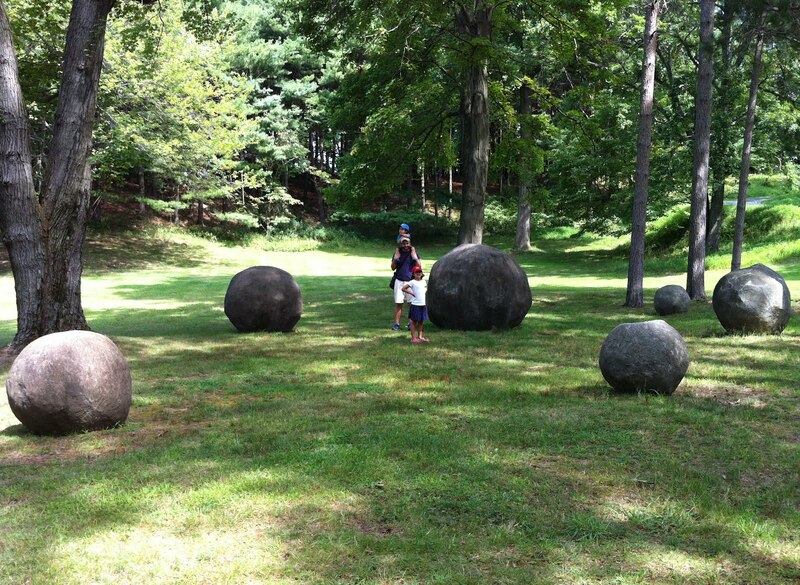 (before children), but figured nature + good weather + giant metal sculptures = good time for everyone. Good call, us! It's a cool feature of the place that the changing topography affects the way the sculpture looks. For example, we remembered this one (Spheres by Grace Knowlton) from before - except it was more than ten years ago, and back then? No trees. It was really a wonderful day, even though we only got to see about a quarter of the place. We're making plans to come back in the fall to check out the foliage - and the cool landscape-based sculptures we missed. One actually looks a lot like those grass waves we saw in Cape Cod!